Play in a band now! Have you ever thought it was possible to learn music by playing in a band? Don’t waste another second in frustration, waiting to be “good enough” to join a band. You actually don’t have to read traditional music notation before joining a band to play the music you love. 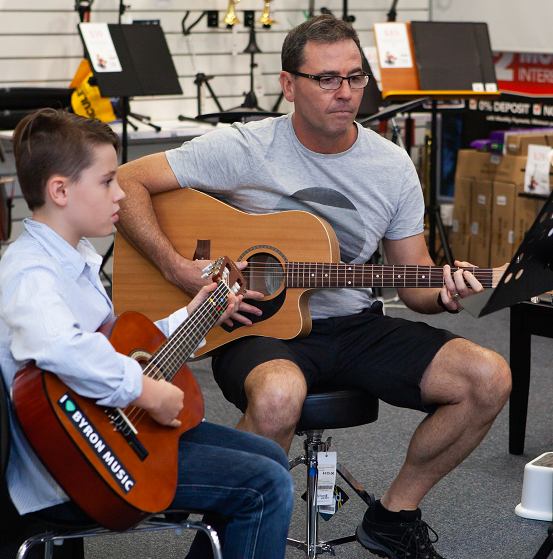 Music Matters Sunshine Coast Kids Gig Bands gives your family what they really want and need in music lessons. Performance opportunities, motivation to practise and a family centred music school where parents and children work together to achieve their music dreams is now a reality. Forget about fussing over practise schedules, fighting over lack of music practise in between lessons and feeling that you are paying out good money when your kids won’t practise. Music lessons shouldn’t be that hard. Call Heather to find out why the new Sunshine Coast Kids Gig Bands are a hit with families. Enrol today and give your kids a head start in music lessons.